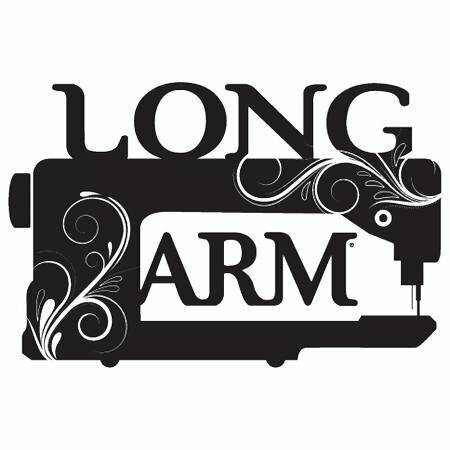 Long Arm Sewing Machine decal. You're a quilting pro, let them know! Vinyl window sticker. Decal color is white (shown in black for easier viewing). Dimensions are 6.4in x 4.2in.